With 68 restaurants awarded one Michelin star in Paris versus 51 in London, competition and standards remain exceptionally high in the undisputed food capital of the world. 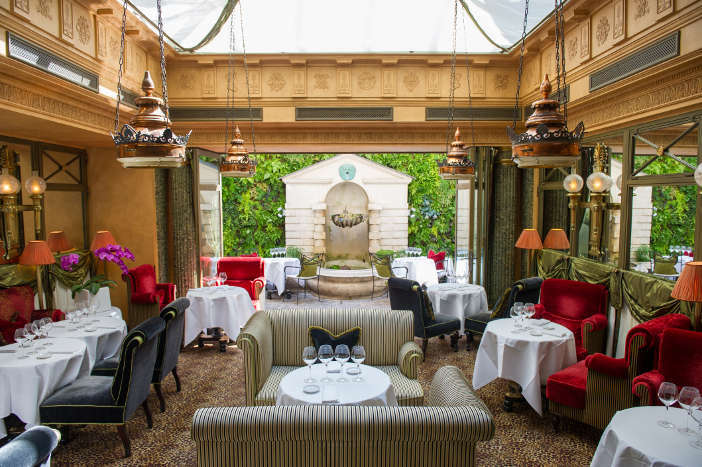 Le Restaurant belongs to the iconic L’Hotel, in which building the author Oscar Wilde famously passed away in 1900. 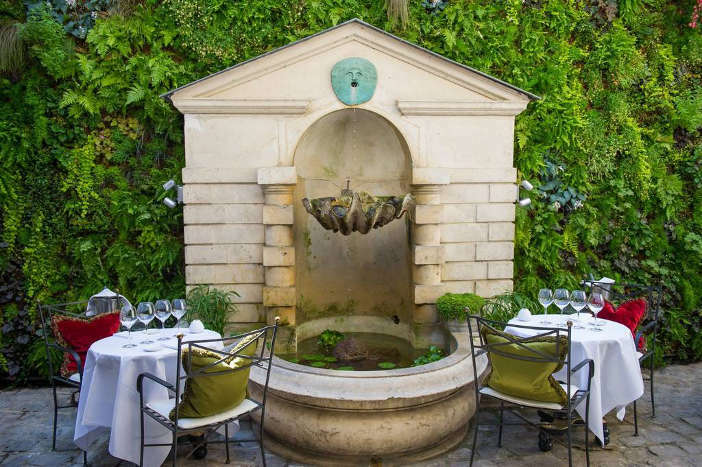 Nestled in the heart of the Saint Germain district on the city’s more bohemian Left Bank, it became a regular haunt of international superstars like Frank Sinatra, Princess Grace of Monaco, and Elizabeth Taylor and Richard Burton on the property being extensively refurbished and opened as a hotel in 1963. Current Head Chef, Julien Montbabut, was a sous-chef at Le Restaurant in 2008 when it was awarded its first Michelin star. He then went on to spend two and a half years at the one Michelin starred Pavillon de la Grande Cascade as their Executive Sous-Chef, returning to head up Le Restaurant in 2011, where he established his own refreshingly light and contemporary touch to a restaurant which fundamentally upheld the philosophy of classical French cuisine. As testament to his leadership, Le Restaurant continues to hold a Michelin star and which, in my opinion, is on a level with many restaurants in the UK boasting a second. The bar is seductively dark, even in the height of summer, and the staff are well versed in discretion,regardless of the fame of the guest happening to be enjoying an aperitif. Heavy curtains conceal the adjoining ‘Le Restaurant’which, housed in a conservatory, is light and airy,whilst comfortable velvet armchairs make it a relaxing dining experience. An outside patio, complete with the soothing sounds of a small fountain,is designed to be a romantic haven for guests on a warm, balmy evening. After carefully perusing the menu, the sommelier selected a superb Saint Joseph red which, robust, and with a hint of spice, ingeniously complimented every dish selected with the aromatic qualities typical of the Syrah grape. The bread and French butter was simply too good to be virtuous and our pre-starter of red and green tomatoes was intense and wonderfully earthy, as if the fruits had just been picked from a sun-drenched vine in Provence. This was followed by a starter of fresh Loctudy crab,accompanied by avocado and yuzu mousse,presented in chequer-board squares and topped with a fine and practically transparent sugar window pane. Dots of sweet mustard surrounded this refined and delicious preamble and showcased the kitchen’s remarkable attention to detail and talent for balancing strong flavours. The food is modern without relying on pointless gimmicks and yet offers an element of surprise which would delight even the most traditional gourmand. A case in point is Chef Montbabut’s signature dish of Blue Swimmer lobster flambéed with absinthe,which humorously harks back to the opulence of La Belle Époque, as this very dining room seems to. 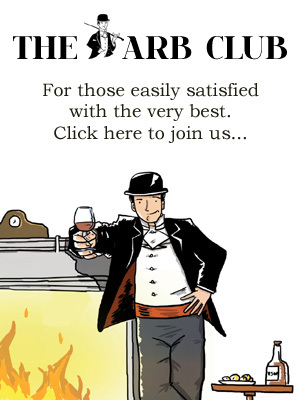 Oscar Wilde was a well known imbiber of absinthe – an elixir that captivated a nation, with figures showing 36,000,000 litres were consumed in 1910, only 3% of the nation’s total alcohol consumption – wine accounting for 72%. Without ever being over-the-top, Le Restaurant loves to create a sense of drama for its guests. My lobster was literally ‘blue’after being doused in the potent aniseed liquor, partnered with leek and a creamy,yet intense, shellfish sauce and yet again, one taste confirmed that the flavours delivered even more sensation than the theatrics. The finale for such a decadent dinner had to be the chocolat “Grands Cru” dessert, comprising of perfect quenelles of dark (70% cocoa) and milk ganache, topped with grated meringue resembling snow, and delicate meringue discs which added texture and height to the melt-in-the-mouth chocolate. Whilst some chefs assemble ingredients which they never succeed in uniting to create a ‘dish’, regardless of what he partners, Montbabut creates a perfect synergy of texture, flavour and craftsman-like presentation. It’s a shame Oscar Wilde never got to dine here – I wouldn’t complain if it was my last meal on Earth. Le Restaurant at L’Hotel, 13 Rue Des Beaux-Arts Paris, 75006, France. Website.